The third annual Sheppyfest took place at Sheppy’s Cider Farm on Saturday 1st September 2018. 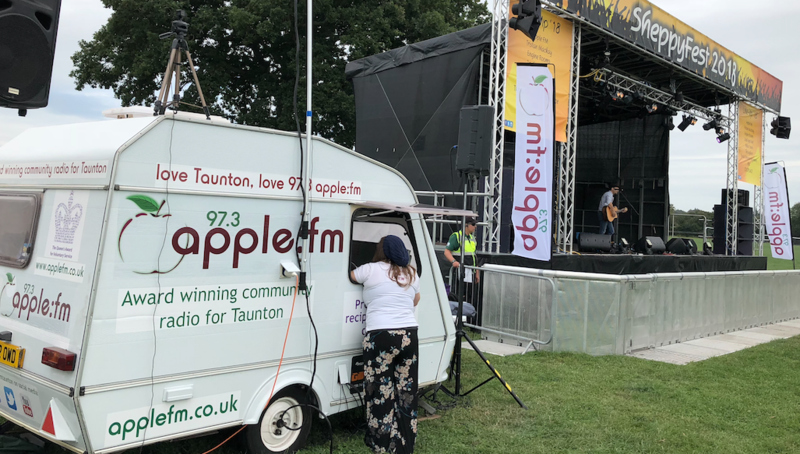 It was a pleasure for the Apple FM team to compere and broadcast the event once again. The festival is a celebration of Sheppy’s award-winning ciders and fantastic music. The weather was dry and mild which delighted the crowd of around four thousand. The line-up this year was Tristan Mackay, Engine Rooms, Jack and Joel, Skata Tones, The Leylines. The Ed Sheeran Experience, Filta and Coldplace. Click here to see our Sheppyfest picture gallery.